Vice President, Prime Minister and Ruler of Dubai, His Highness Sheikh Mohammed bin Rashid Al Maktoum, has highlighted the role of media in helping the region face the current challenges, especially by providing objective coverage of the rapidly changing socio-political and economic landscape in the region. His Highness Sheikh Mohammed called on the media to support Arab society in weathering the challenges of this difficult period in the region’s history, and help Arab nations in achieving progress and development. He also urged media outlets to promote tolerance in order to spread peace, and help revive Arab civilization that once was a beacon of progress and learning for the world. Sheikh Mohammed made these remarks during an Iftar banquet organised by the Government of Dubai Media Office for media industry leaders and chief editors of local newspapers and heads of Arab and international media outlets based in the UAE. The event was also attended by H.H. Sheikh Hamdan bin Mohammed bin Rashid Al Maktoum; Crown Prince of Dubai; H.H. Sheikh Maktoum bin Mohammed bin Rashid Al Maktoum; Deputy Ruler of Dubai and Chairman of Dubai Media Incorporated; H.H. Sheikh Ahmed bin Mohammed bin Rashid Al Maktoum, Chairman of Mohammed Bin Rashid Al Maktoum Knowledge Foundation; and H.H. Sheikh Mansour bin Mohammed bin Rashid Al Maktoum. "The ability to use the ‘word’ is an honour and responsibility that needs to be protected by maintaining the highest levels of integrity and objectivity. The media is a partner in the development process, and this partnership involves great responsibility especially in terms of using the right ‘words’ that can help build a bright future for upcoming generations," Sheikh Mohammed said. He noted, "The media is society’s eye that perceives the reality surrounding it. It is the window through which people can gain an understanding of what is happening in today’s rapidly changing environment. The media should cover reality as objectively as possible, with the utmost honesty and integrity." Sheikh Mohammed also said that the UAE had recognised at an early stage of its history that the media plays a critical role in its development and took steps to build a solid platform for media to thrive. The UAE also worked on developing the media sector based on an approach focussed on enhancing personal responsibility and freedom, in order to open the door for a wide range of constructive views and ideas. He added that the UAE has strived to provide media professionals with all the support that they need to do their job in the best way. This journey of progress has seen the launch of media free zones that consolidated the UAE’s status as a hub for Arab and international media. Sheikh Mohammed also praised the patriotism of the local media, especially in the current period of the UAE’s history, where it is poised to assert its leadership in various sectors, thereby reinforcing the journey of progress begun by the late Sheikh Zayed bin Sultan Al Nahyan. Also attending the Iftar reception were Mohammed bin Abdullah Al Gergawi, Minister of Cabinet Affairs and The Future; Dr. Sultan bin Ahmed Sultan Al Jaber, Minister of State, Chairman of the Board of Directors of National Media Council; Khalifa Saeed Suleiman, Director-General of the Department of Protocol and Hospitality in Dubai, and Director General of the Government of Dubai Media Office, Mona Ghanem Al Marri. 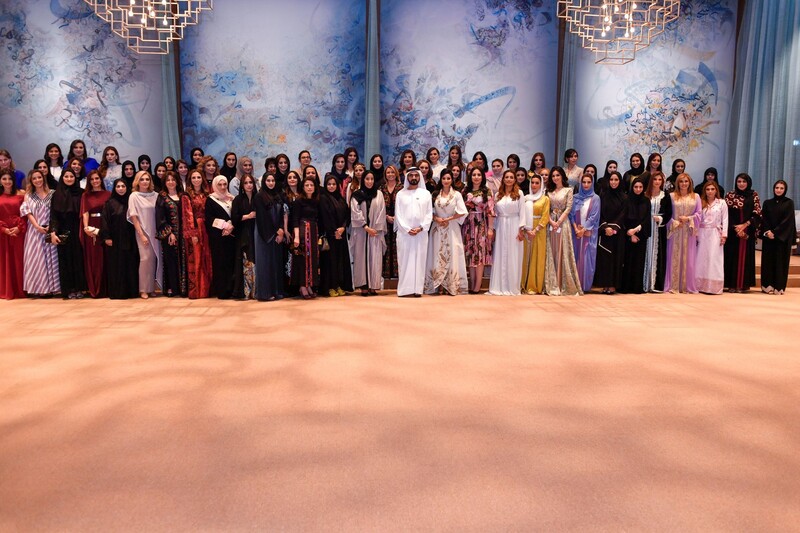 Media professionals attending the Iftar banquet praised the continued support of Sheikh Mohammed bin Rashid in providing a conducive environment for media to contribute towards building the future.